In 2009 I had a very unpleasant experience in Swap-bot. I have decided to leave on my profile the text I wrote at the time in case it helps other members going through the same situation. The text was as follows "I have done my best to sort out the problem with the handful of parcels that got lost in the mail and it seems I am not getting those 1s removed anytime soon. Tired of being held hostage by some swappers who seem to expect me to send dozens of replacement packages. On top of that very disturbing experience getting death threats and insults by email from those who think of themselves as Swap-bot police. I was shocked when a person emailed me "I hope you get a cancer and die". Thanks to Samantha and the (very few) members who have supported me during this period of having to deal with difficult members. It has been really disappointing to say the least the behaviour of some I considered to be friends"
Look forward to catching up with those members who were lovely towards me during that period of time several years ago, thanks from the bottom of my heart. Response: No problem :) Glad you found it. Happy new year 2010. Comment: I have had messages back and forth since May 25, the deadline to send was April 20, today is June 12th! I got a great package today Sept. 17, 2009. Response: No communication at all to let me know you did not receive the package or you did and thought it did not meet swap requirements. Dissapointing to say the least :( I would have really appreciated the courtesy of a pm to let me know what went wrong (response left on May). Comment: I recieved the sup and Thanks, can't wait to try it! Thanks! Comment: After several PM's, and you said you would resend, but I never did receive this swap. I will re-rate when I receive the cd. Response: Totally deserving 1 since I have not had the chance to mail the resend. I am moving house (and city) this coming Saturday so as soon as I settle down I will send. Sincere apologies for the delay. Comment: Por fin llegÃ³ :) Muchas gracias y siento mucho que tuvistÃ© que reenviar el paquete.. Response: Gracias por el cinco guapa. Mantenme informada de como va el embarazo. Comment: Never got anything - doen't look like I will. Bad karma to you! Response: Amanda if you would have got in touch with me (a PM does not cost anything) you would have known my first two trips to a local post office in Madrid went horribly wrong and several packages went MIA. As you can see on my profile some people (four so far) are starting to rate me for the resends. You know, good manners go a long way and communication is essential for this site to work properly. I will resend (I have not done before because obviously with you not communicating I had no way to know you did not receive). Response: YouÂ´re welcome! :) thanks for the heart. Comment: Yay thank you for the resend it was all great! and i am loving the chocolates they bring back memories of when my nan and grandad used to go to spain and bring me stuff back like that so yummy! Response: I am so glad to hear the resend made it :) and that you enjoy the chocolates. I am totally addicted to Spanish chocs :) Thanks very much for the heart. Comment: Thank you so much for resending yet again. The tea, stationary, and hot chocolate are great. Response: You are welcome. Really bad luck for me to have sent the original swap and a resent and none of them have been received (first time this happens to me). Response: Me alegra que haya llegado y gracias por contarme lo del sobre anterior. QuizÃ¡s eso resuelva parte del misterio porque tantos de mis swaps se han perdido desde que me mudÃ© a Madrid; nunca me habÃ­a pasado. Un beso! Comment: will def change if it arrives. i contacted you three times with no response. Response: That is actually incorrect I am afraid to say. You contacted me once and I replied to your message straight away (I have kept the message for future reference). Comment: Cheryl meant so much to all of us, and she will be remembered for her kindness and humor by all those she touched. Thank you for joining the swap and keeping her memory alive for us all. Response: The world certainly needs more people like Cheryl. I totally agree she had a wicked sense of humor :) and such a positive outlook on life, always helpful to newbies too. We will miss her a lot. Comment: Your package was arrived few day ago when I was not in town. Thanks for sending extra bags! Comment: Love the eclectic selection of songs! I really liked "Summer is for Going Places". Response: Yeah that song is lovely and itÂ´s a pity the band has not made it big yet :( Thanks so much for the heart! Comment: Awesome songs- lots of stuff I have never heard of. Even included a few extras. :) I loved your explanations, too. Response: Oh I am so happy to read you liked the explanations. I am a Spaniard so very verbose ;) I canÂ´t help it lol. Enjoy the songs! Response: Hope you like them! :) thanks very much for the heart. Response: I am really glad to hear you liked the wee envie :) and definitely hope to swap with you again soon too. Thanks very much for the heart!! Good Chatting with you last night sweetie! I won't forget our swap next month! 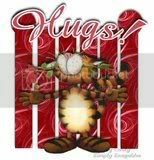 Hugs to you for all that you've done to help a fellower swapper (Janien) in need. Thanks so much for granting my january wish. I love what you sent me. Thanks, thanks, thanks!